Nearside profile, a handsome design, telelever front forks. Front and side, styling described as quirky, chunky. Same era as muscle / retro bike movement. Previous owner recovered the seat, made a nice job of it. Can't beat it for comfort. Design intriguing blend of new and old. Quirky front mudguard. 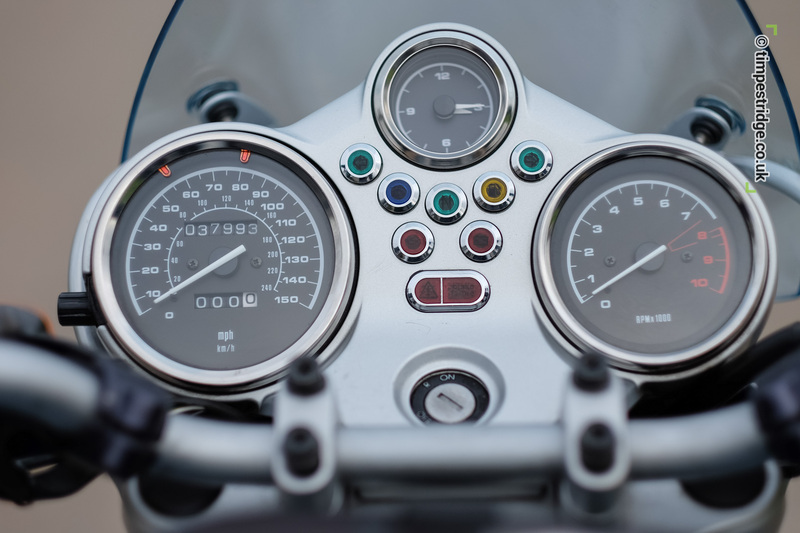 Traditional analogue dash layout. Fuel low light, no gauge. Can you learn BMW indicators? 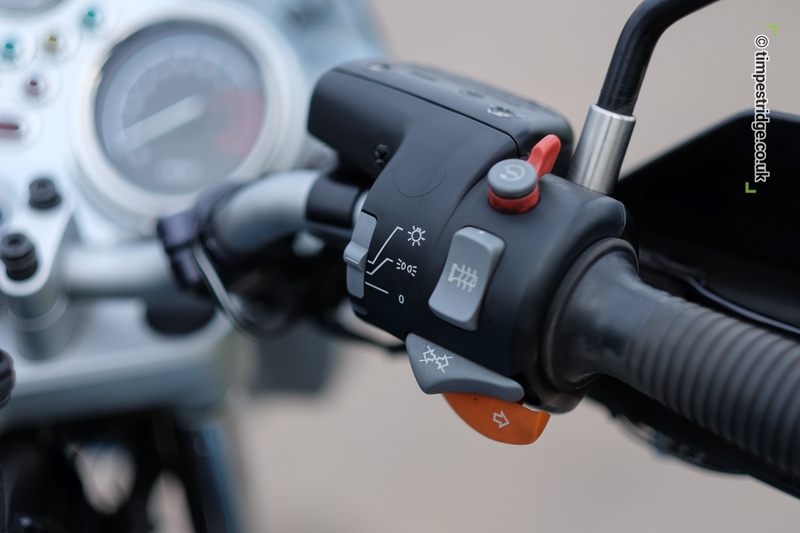 Heated grips used a lot in UK climate. Note hand protectors, keeps the wind off pinkies. I removed large windshield and bought this OEM BMW shorty screen to stop turbulence. Front view. Engine cylinder pots do stick out a mile! I've dropped it on this side, very glad owner had fitted engine bars. Stupidly, forgot to remove disc lock. Clever move - front splatter guard keeps muck off engine. Halfway up the A303 to London, quick fuel stop. Even at 80-90mph she'll return 43-45mpg. 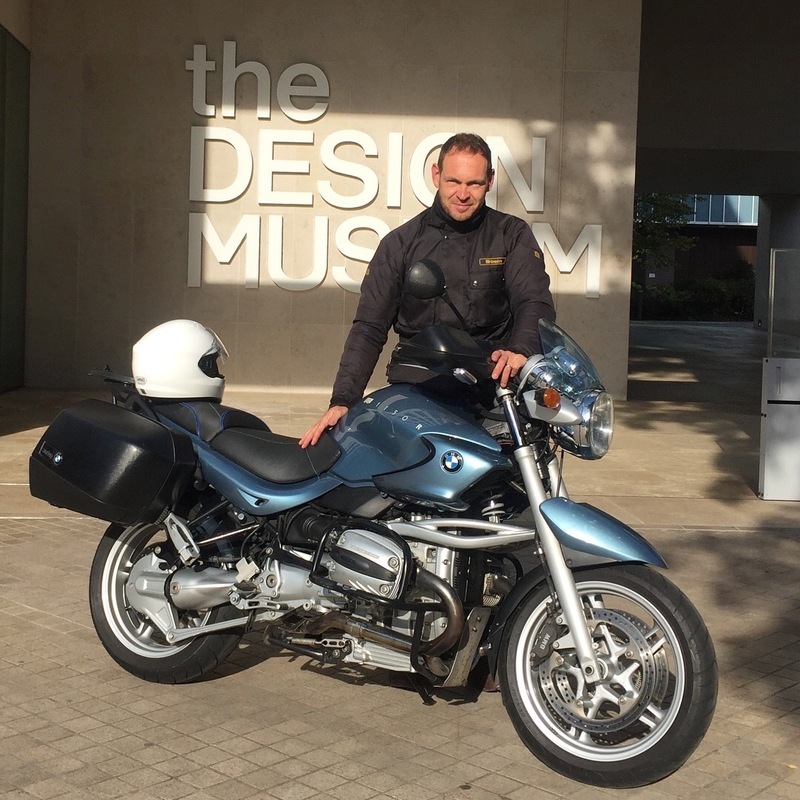 Arriving at the Design Museum before my SE based chums was great! 10:15, Sunday morning. 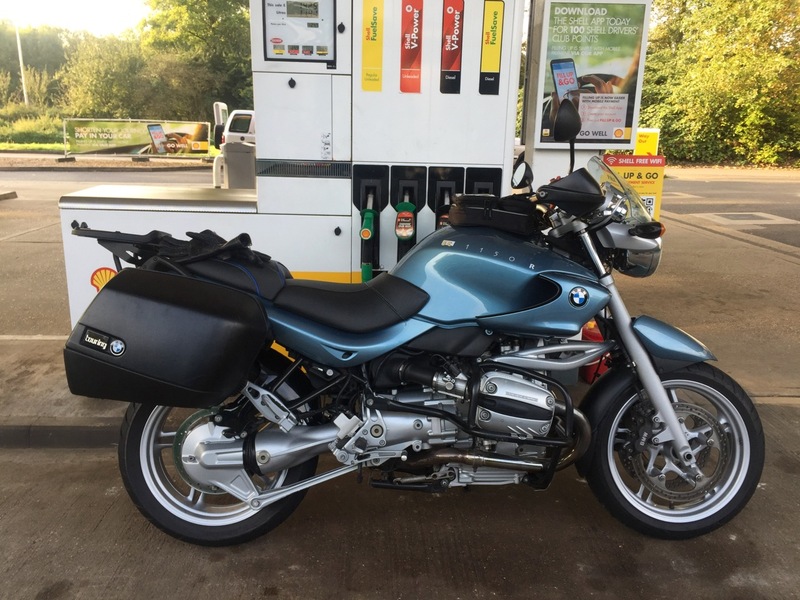 So, this is my replacement motorbike for the BMW F800S I owned and enjoyed previously. I'm lucky enough to be able to run 1 'main' motorbike, which gets used for client meetings and jobs, and some occasional day touring. Essentials are top box for passengers to lean on / feel secure on, and this bike came with panniers AND a top box. I had long admired the traditional BMW twin design, which has a fantastic lineage back to the early 1920s (R32 BMW Wiki), and felt I'd reached the age where I could 'do a BMW' again, but not quite a full tourer. 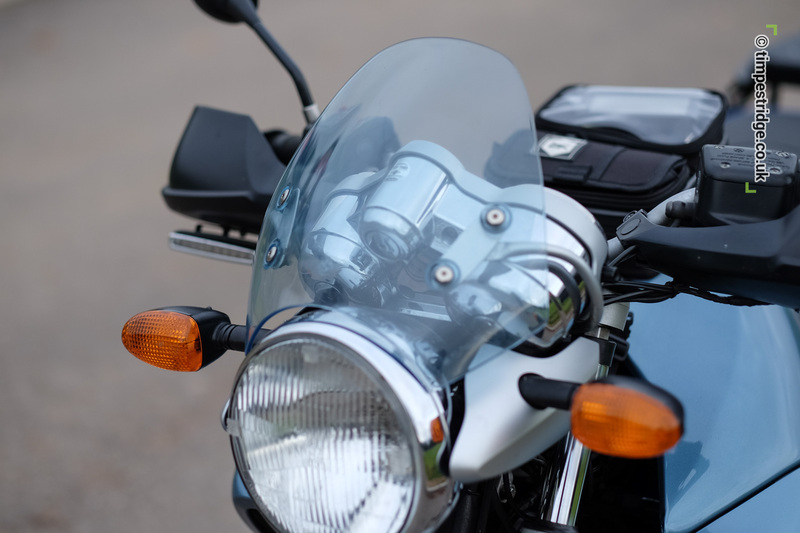 There's something about still having a chrome headlight which felt important for me, and the F800S, although a superb motorbike, felt a bit too boy racer / try-hard for me now. I did enjoy it though! No surprise that a much younger chap took it off my hands. I must've only been a few weeks into ownership, when I experienced a very scary moment whilst only about a mile or so from home. I was riding down hill, applying the brakes when I rounded a corner to suddenly find a car stopped on the apex of the bend. I applied the brakes with force, only to discover that The ABS had failed on my bike. This meant that they were only operating at about 30% power, meaning that I swerved hard and shot past the stationary car and came up in line with her front bumper. We both exchanged looks of surprise, and I explained I had no idea what had happened to my motorbike. Thankfully for me the incident occurred without accident. I have since heard reports of other owners being much less lucky than me. 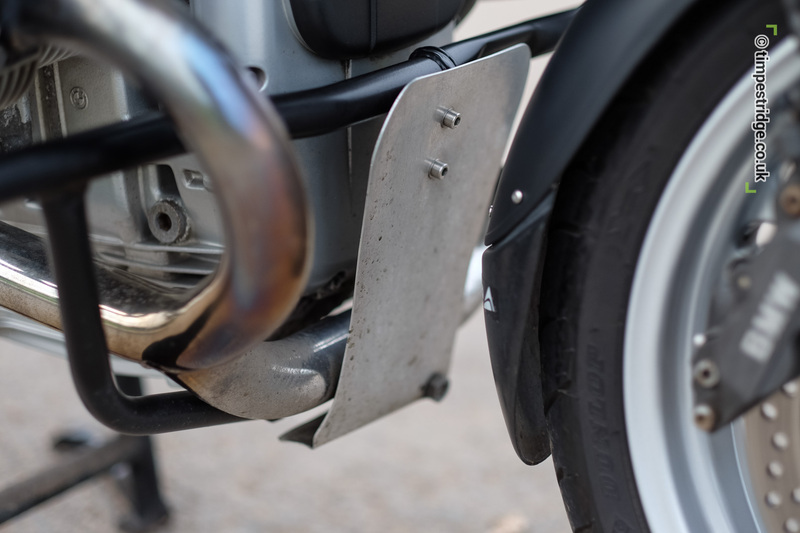 After doing some Google research and realising this was a common issue on BMW motorbikes which BMW has kept as quiet as they possibly can, I rang specialist James Sherlock in North Devon who gave me two options. The first was to replace the ABS on my bike at a cost of £2000. Second option was to carry out an ABS removal, which he informed me was a very popular service. Having only recently purchased the bike I opted for the latter, at a cost of £400. James assured me the bike would remain just as nice to ride, with good powerful servo assisted brakes. In passing he also mentioned that from their experience very few if any high mileage BMW's suffer from this ABS fault. 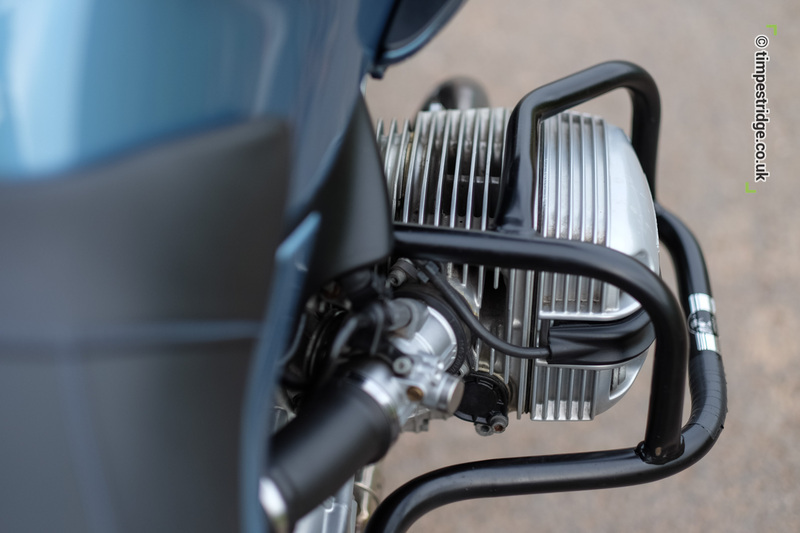 "If your bike had done 90,000 miles or more, it just wouldn't be an issue". He added. I didn't take an awful lot of comfort from this! When you live in Exeter, and your chums have all settled near the big smoke, there's some travelling involved to all get together. Which is where the big BM comes in. I had set myself a mission to arrive in central London at the design Museum before my Southeast based friends, my only concern being a rather damp forecast for the ride home that evening. 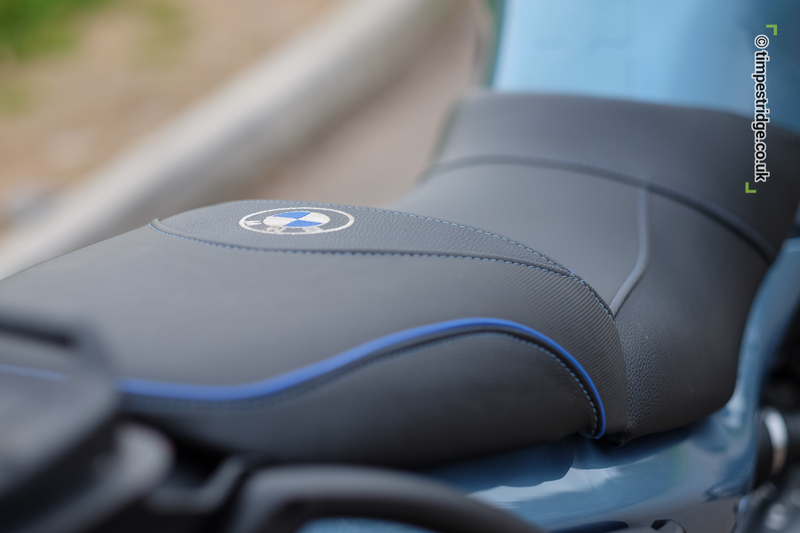 It's on long rides like this that you begin to properly appreciate BMW's reputation for reliability and comfort. A couple of months previously I had removed the bikes large screen and so was left hanging on in the breeze - not a problem at legal speeds but having only the fly screen makes for a excellent speed limiter! You would have to have proper gym muscles to hold on at any sustained distance about 100 miles an hour. But I see this as a good thing! 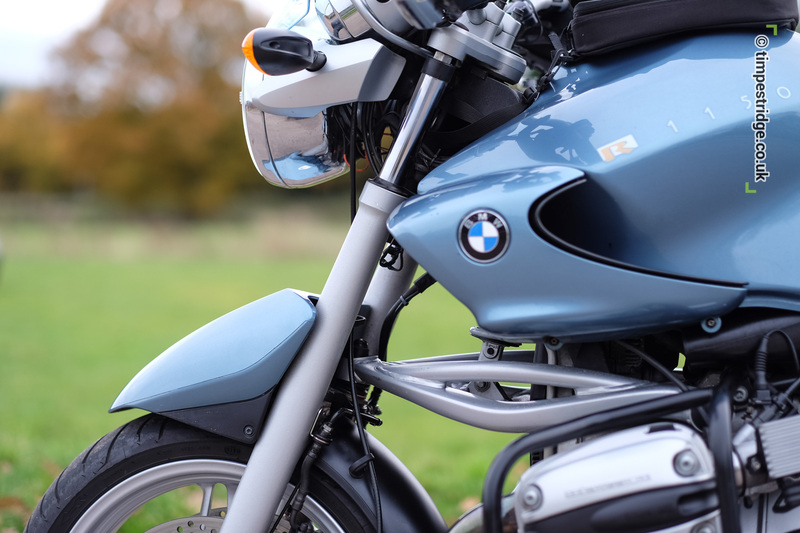 The BMW has a tall saddle, with a feeling of great solidity, but it's the engine that gives this bike soul. The twins fantastic power gives confidence especially on a long sustained run. 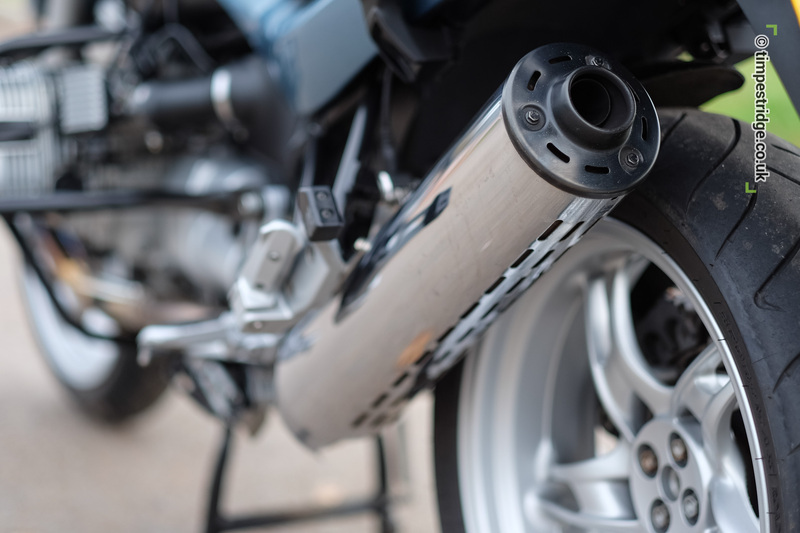 The front suspension takes some getting used to, because initially its lack of movement compare to normal forks unnerves you. But that same lack of movement means the bike remains stable and composed even braking into corners. I thoroughly enjoyed the ride, it was one of those early Sunday morning experiences where the sun comes up, the road is clear and the bike felt so capable that you're left enjoying each experience as it happens . I navigated using a Garman satnav which I installed in a magnetic tank bag, meaning central London suddenly became a lot less daunting to get around. I had done some experiments and discovered the satnav is able to run from my portable ANKER USB charger. Yesterday marked her first MOT in my hands, and at 15 years old with 38,000 miles under her wheels I did wonder how she would fare in the hands of the test station. I left with a grin on my face and a clean bill of health with no advisories. The tester remarked he had rarely seen such a clean bike underneath. 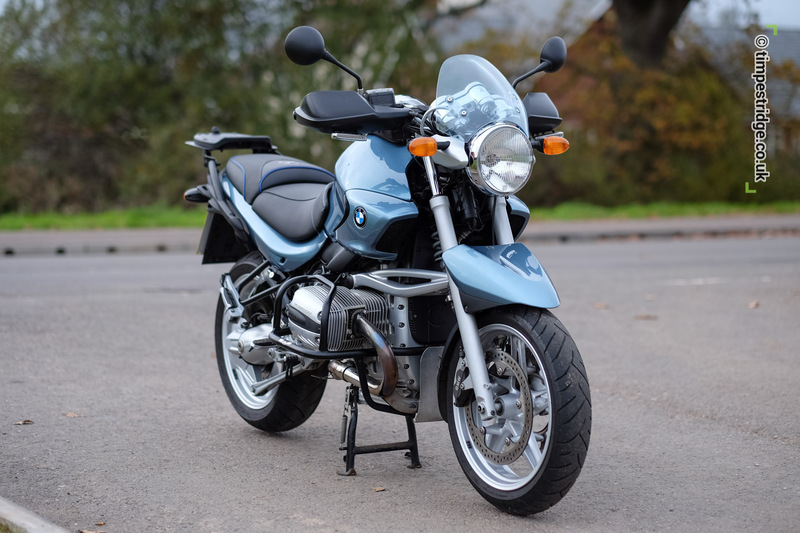 On the secondhand market the R1150R offers a lot of bike for not much money. 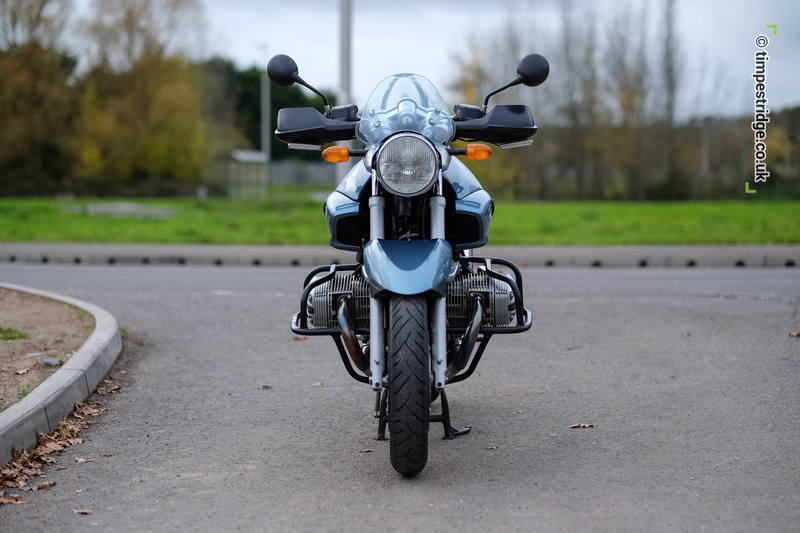 One of the major plus points for choosing this model is that many of them seem to have led a sheltered life, so even a model as old as 2000-02 could effectively look like a three-year-old motorbike in terms of condition. It will also likely come fitted with BMW panniers. 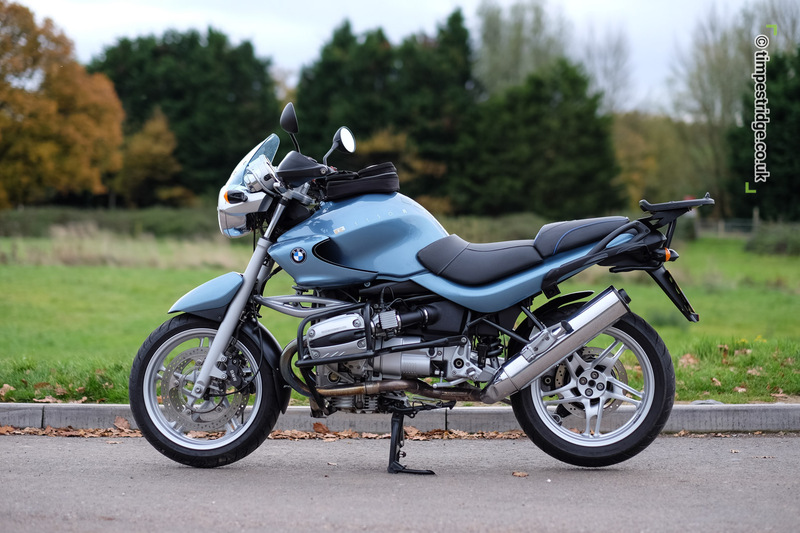 A good source of low mileage bikes seem to come up at Bath motorcycles in the region of £2800-£3500. Just be sure to get one either that has had it's ABS removed or even better, a non-ABS model.